WordPress is the most popular platform to build any kind of website. But as you know, without making use of the proper plugins it is nothing. Finding right plugins is up to you. From social media sharing to search engine optimization, backup to comments management, security to showing advertisements- plugins will do everything for you or what you need. We should discover the plugins that match our requirements, server configuration, and theme design. 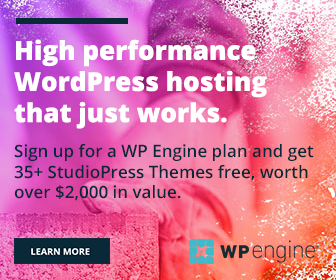 Only then that we’ll be able to utilize the benefits of WordPress at the extreme level. There are some essential WordPress plugins for websites of any type. They do a tremendous job in the categories they belong to. In this article, we pick the top 10 essential WordPress plugins for 2019. They are free as well. So you can use them without spending anything. Every WordPress installation comes with an Akismet plugin. It is an essential tool to detect spam, malicious comments which you receive through the contact and comment forms. Contact Form 7 is one of the essential WordPress plugins to improve your customer interactions, collect their feedback, inquiries etc. It lets you embed forms in posts, pages or sidebar widgets. Create unlimited contact forms for various needs, customize the fields as per your needs and display them anywhere on the website through a shortcode. It supports CAPTCHA, Akismet filtering etc to prevent spam or bot comments. W3 Total Cache is an important plugin for any WordPress site. It will clear junk cache files, reduce page loading time and boost your SEO rankings. Analyze your website speed in Google page speed insights with and without W3TC, so you will come to know how much valuable it is. With the plugin, customers can enjoy a smoother and faster browsing experience on your site. Can you forget search engines? Certainly, not. Yoast SEO is a powerful SEO plugin for WordPress. The plugin guides you on how to write, what keyword to assign, how to optimize URL, title etc. Yoast SEO lets you manage social media posts in terms of title, description, and image. You can also monitor Google crawl errors, perform keyword research right from the WordPress dashboard, generate XML sitemaps and automatically inform Google about your latest posts. We can point out several SEO plugins for WP, but its incomparable features make Yoast unique and special. ShortPixel is a lightweight, easy to use plugin to compress images and PDF documents on WordPress. It can optimize any image you have including JPG, PNG, GIF, WebP without file size limits. The images will be automatically resized on upload without losing quality which will help you to reduce the page loading time and improve the traffic. Shared Counts is a simple, elegant sharing solution for WordPress. It is a new plugin but comes with stylish look, design and premium quality. The share buttons appear along with the counts to know how many times the content was shared and encourage readers to share again. It supports leading social networks including Facebook, Twitter, Pinterest, StumbleUpon, LinkedIn, Google+ and Buffer. Monetization is an indefinite part of the blogging. Quick Adsense is a free WordPress plugin to show ads anywhere on the blog. Just copy/paste your AdSense code into the ad box and choose where to display them. The plugin offers unlimited customization options to potentially monetize your contents. It also allows you to show ads on a certain part of the post or disable ads individually- using a shortcode. You can manage their visibility by page types and hide ads based on the user roles or logins. Wordfence Security is one of the essential WordPress plugins to prevent malicious and brute force attacks. It will continuously monitor your site, identifies fake users or bots and block them instantly before they launch any kind of attack. With the latest definitions and powerful tools, it provides the best possible protection to secure your online contents. Wordfence is deeply integrated with WordPress and protect your blog from the core level. It comes with a malware scanner, firewall, real-time IP blacklist, and many other advanced features to identify even unknown security threats and vulnerabilities. UpdraftPlus is an essential WordPress plugin to backup and safeguards your business. Choose your file types, set up a backup schedule and select your storage destination to begin the process. It will automatically backup your files and database to Dropbox, Google Drive, Amazon S3, FTP, email and many other cloud storage services. UpdraftPlus is highly customizable and offers one-click solution to backup and restore the website. Jetpack is one of the common and essential WordPress plugins for search engine optimization, social media marketing, security, and others. It will add several features to your WordPress dashboard to keep the blog secure and increase the traffic. The plugin will automatically share your new blog posts on Facebook, Twitter, Google+, LinkedIn etc and thus reduce your marketing efforts to some extent. It allows you to insert comment forms in the posts where users can leave feedbacks using their Facebook, Twitter, Google+, or WordPress.com accounts. It analyzes your traffic sources and provides valuable insights to replan your promotional strategies. Jetpack’s related posts widget lets you divert readers to other parts of the site and reduce the bounce rate. It will also protect your website from malicious attacks, and monitor the website downtime, activate a separate theme for mobile devices etc.